Buy a property below valuation AND replacement cost! 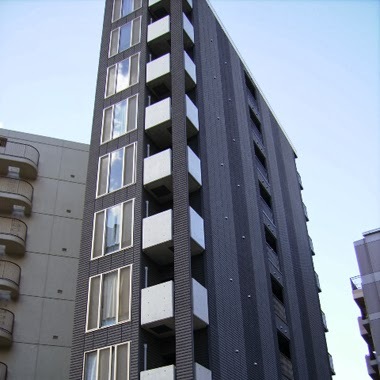 Someone asked me why I don't consider buying new built Japanese apartments for investment since I feel that a reflation is underway in the country. The value of the residential properties owned by Saizen REIT is below their replacement cost. Buying at a discount to valuation is great but buying at below replacement cost is even better! When I invest in Saizen REIT now, I am buying at a discount to valuation buildings which are valued below replacement cost! How crazy is that? Want to compete with Saizen REIT and other incumbents by building new similar apartment blocks? Must be bonkers to do so. So, supply is not growing and demand seems like it could grow with Abenomics gaining traction. Things could look better in the next few years for Saizen REIT. Saizen REIT: Insiders are accumulating. "Buying at a discount to valuation is great but buying at below replacement cost"
Comparing Saizen and Croesus, which will you say is the better investment at current prices? My feeling is that Saizen is more undervalued compared to croesus, what's your take? Invest in Japanese real estate: Saizen REIT and Croesus Retail Trust. A Japanese government report on Friday said the economy was "recovering", its first use of the word since the 2008 global financial crisis, as Prime Minister Shinzo Abe works to revive years of tepid growth. AK, may I ask, what is replacement cost and how is it defined? Let us say an apartment block now costs you $30 million to buy pre-owned but in order to build one that is exactly like it costs $40 million. That $40 million is the replacement cost. In such a situation, no one in his right mind would want to build new.